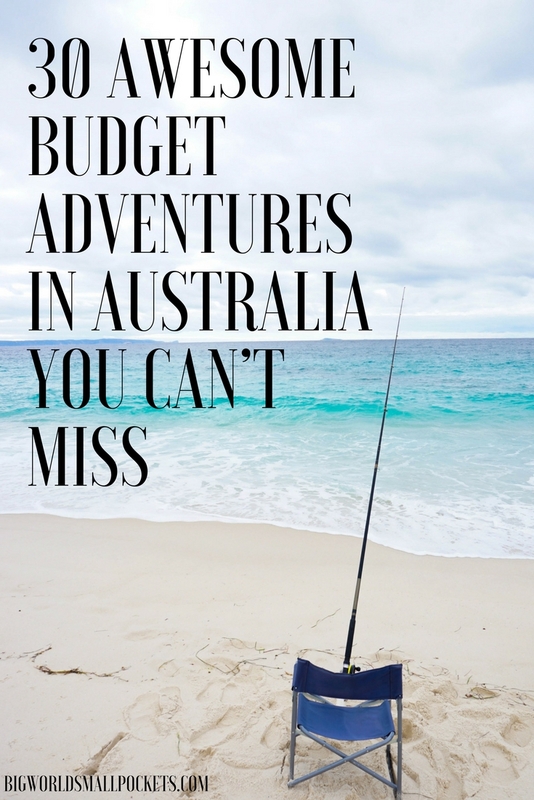 Despite the rumours, Australia really is a budget traveller’s dream destination. This really is a once-in-a-lifetime opportunity that you’ll never forget. And all you have to do to capture those awesome Outback colours bouncing off Australia’s best-loved icon, Uluru, is pay a $25 entrance fee. The ultimate Australian road trip is a non-stop ride of adventure that, with a campervan and a few mates, will cost you next to nothing. Must sees include the epic 12 Apostles, London Bridge and Lord Ard Gorge. Check out my list of the top 12 highlights here. Definitely one of my favourite places in the whole of Australia, just taking an alfresco seat at one of the many coffee shops to watch the people and the world go by is pure magic in Fremantle … and that’s not to mention the great markets, heritage or hitting the beach! If there’s one place you’re going to spot the giant, prehistoric-like figure of a croc, it’s going to be in Kakadu National Park. Australia’s largest area of pristine wilderness, an entrance ticket here will basically guarantee you days of fun and a croc or 2! 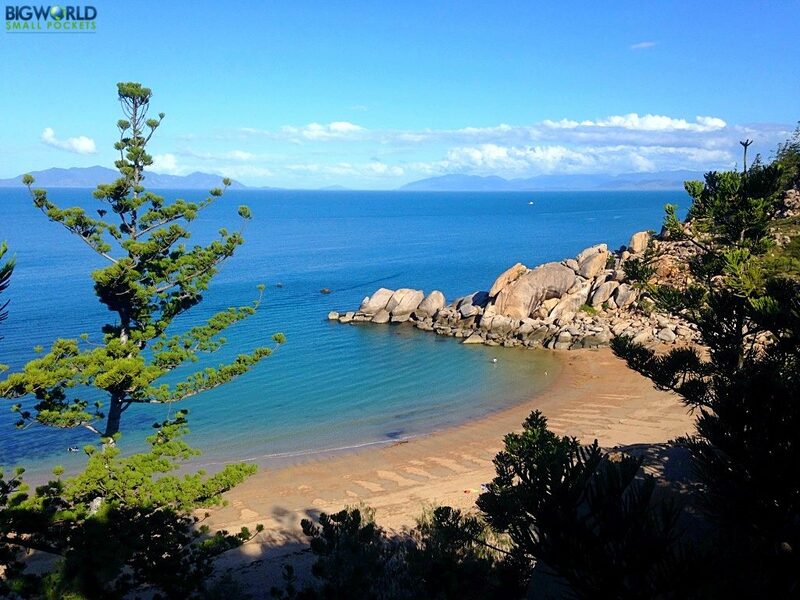 While scuba diving can definitely be pricey at the Great Barrier Reef, snorkelling is way more affordable, especially off the beautiful spot of Magnetic Island. Here you can snorkel the reef right from the shoreline, meaning you’ll only have to pay a few dollars for mask and fins in order to spot turtles, tons of fish and perhaps even a mini shark or 2! Melbourne is famous for its great caffeine output and nowhere does it better than in the city’s famous Laneways. While you’re here, check out the great street art too – it’s a really cheap way to get into the spirit of this cultural city. In the hippie haven of Australia, Byron Bay, there’s nothing like a good morning coastal stroll to start the day. And what better place to head than the country’s most easterly point where the sun rises first. 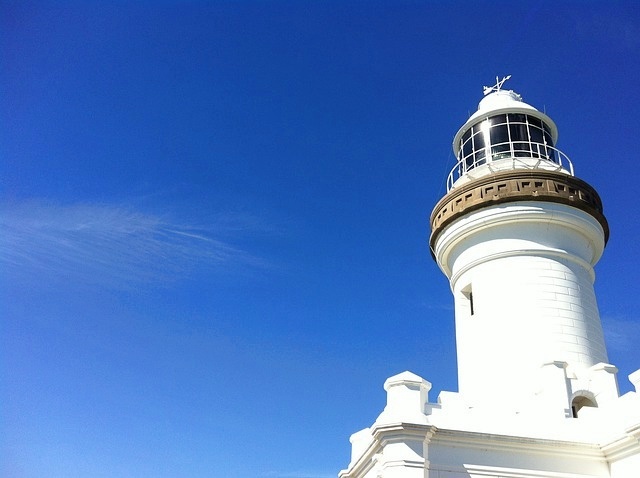 Yes, Cape Byron, topped by a gorgeous lighthouse, makes the perfect place to walk to and welcome the day, maybe with a sun salutation to top it all off! Australia sure does a market well, and there’s few better than Mindil Markets in Darwin. Set just back from the beach, you can get a delicious and cheap dinner here before heading onto the sand for a free sunset spectacle, normally complete with live local music. 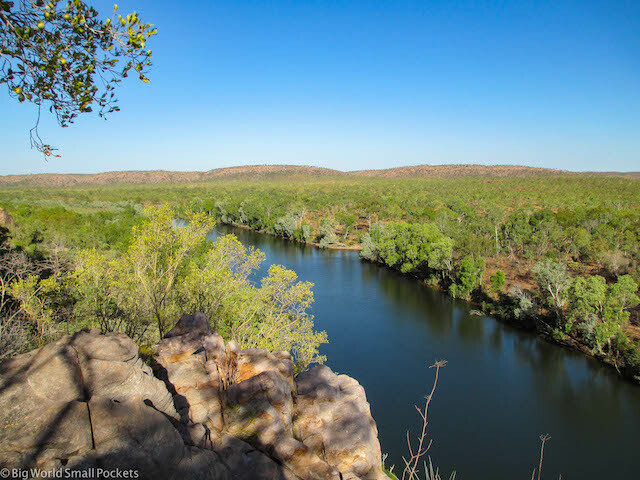 Up in the Northern Territory, Kathrine Gorge, otherwise known as Nitmiluk National Park, is a striking ravine cut deep into an ancient and remote landscape. 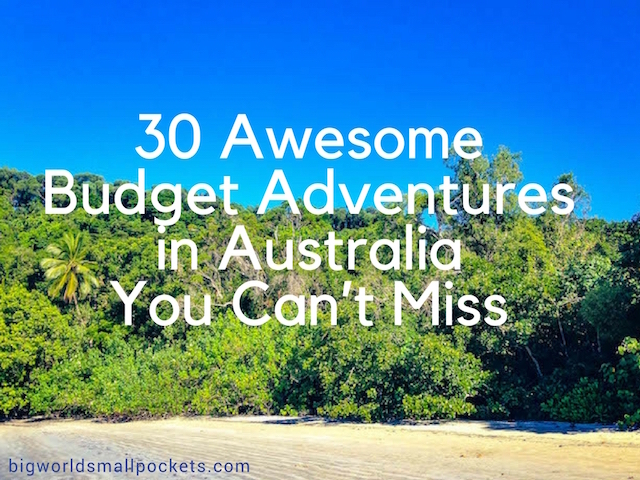 Spending a few days here exploring the scenery is a great budget activity to enjoy in Australia, especially from the seat of a kayak. 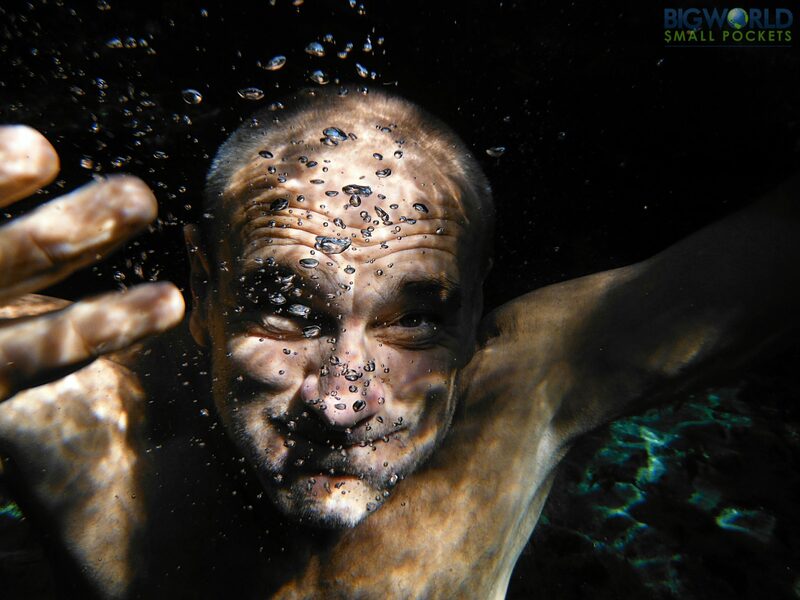 Elsey National Park near the town of Mataranka in the Northern Territory has some incredible natural hot springs that are free to enter. Set within lush jungle surrounds, relaxing here, as the healing properties of the water immerse you, is the ultimate way to relax. Down on the southern coast of Western Australia, the sands of Cape Le Grand National Park have been deemed the whitest in the country, if not the world. Get down here to snap some seriously stunning coastline and maybe a friendly kangaroo or 2 if you’re lucky! 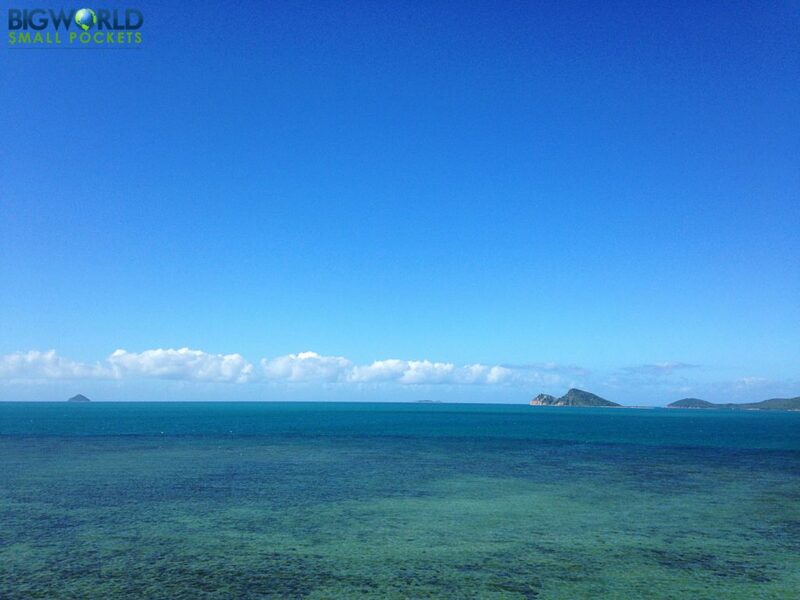 Not known for their budget-friendly price tag, Queensland’s Whitsundays are generally more associated with luxury tourism. But did you know you can camp on the most famous beach here for only $6.60 pppn. Yes just hopping on a ferry to the island and setting up camp for a few days, means you’ll have one of the world’s top rated beaches all to yourself after the day tippers depart! A trip to Australia just wouldn’t be the same without you learning to surf now would it?! But did you know the cheapest place to learn? 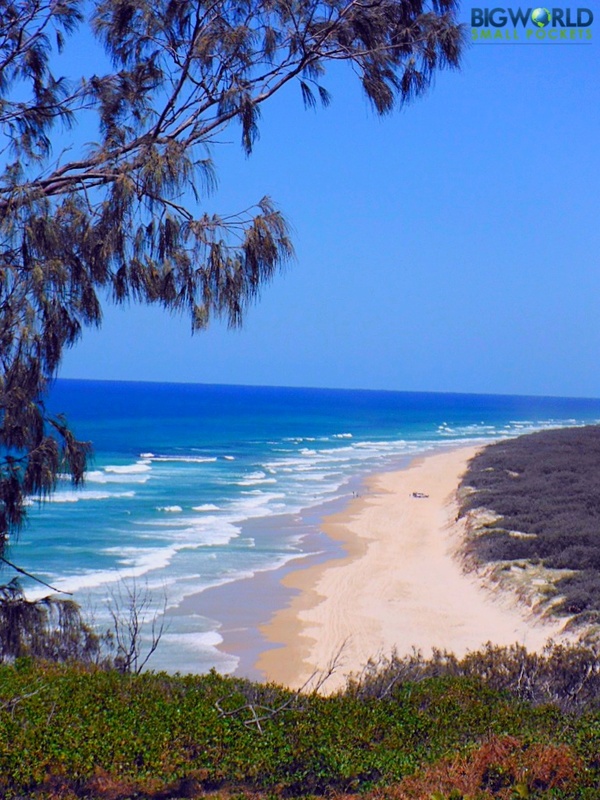 Well I’m here to let you know that the bargain beach to grab a surfing lesson Down Under is in the small town of Agnes Water. Get it on yer list! If you thought wine-tasting was just for snobs, then think again! 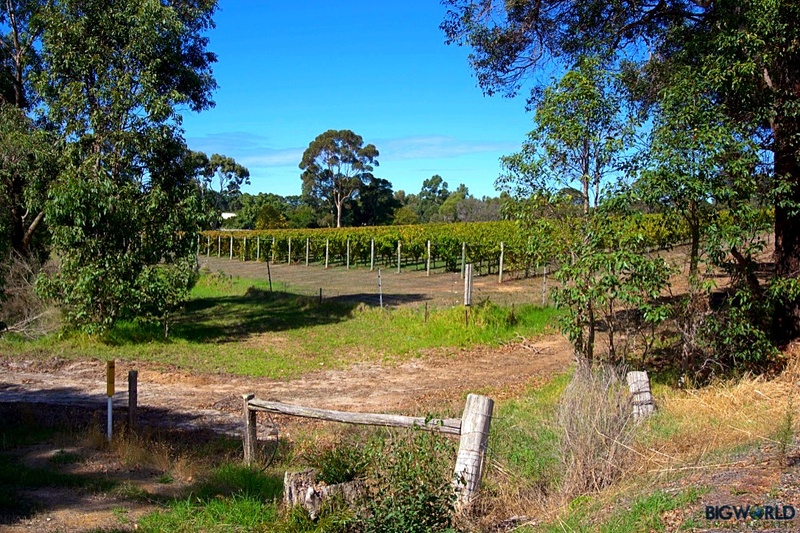 Every man and his dog loves a good wine tasting in Australia and there’s few places better to give it a go that Western Australia’s Margaret River – known for its delicious grapes. If you’re on a budget, it’s perfect too – simply head along to some of the many vineyards in this area and enjoy their open cellar doors for free! Australia just wouldn’t be Australia without its unique wildlife and there’s few creatures more unique than the platypus! This weird and wonderful mammal lies eggs and swims, making it very different and very Australian. 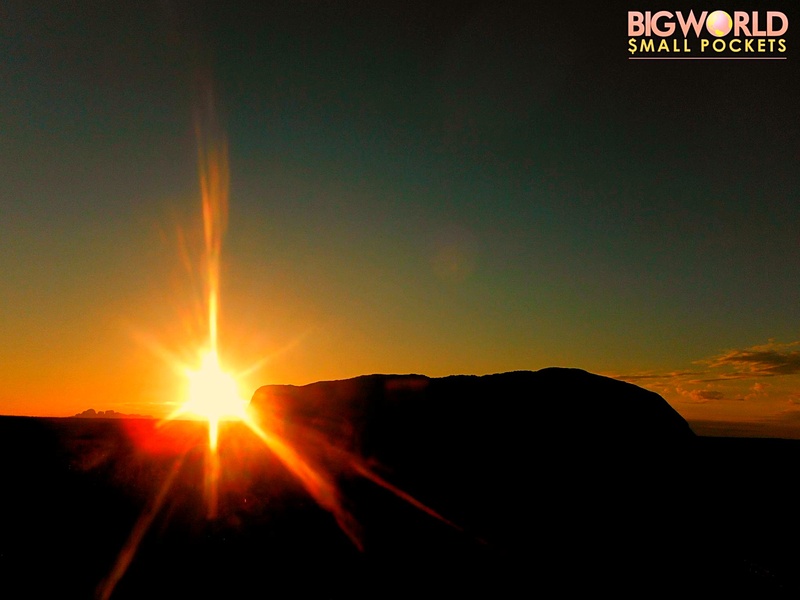 There’s a few popular places to spot them across the country, but top of the list has to be Tasmania! 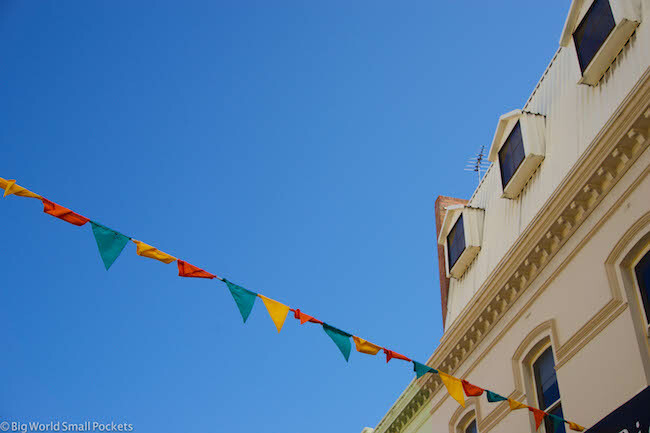 Happening every year in March, the Adelaide Fringe is the time this small city in South Australia really comes to life. There’s lots of shows and events offering good priced tickets, especially on the day, but if even that is too much of a stretch, you can just enjoy the heaps of free entertainment and performances happening right in the street. Come on! 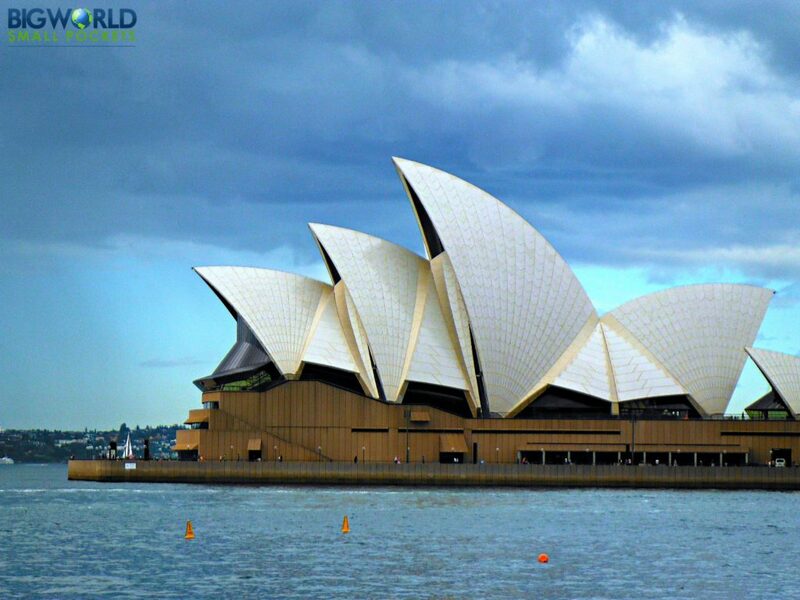 It’s an Australian icon and it’s free to wander, snap and insta to your heart’s content! Got to be done! Sticking with the Sydney theme, you almost certainly have to visit the country’s most famous beach when in the city. Revelling in the glamour and eyeing up the lifeguards as much as you like is free! 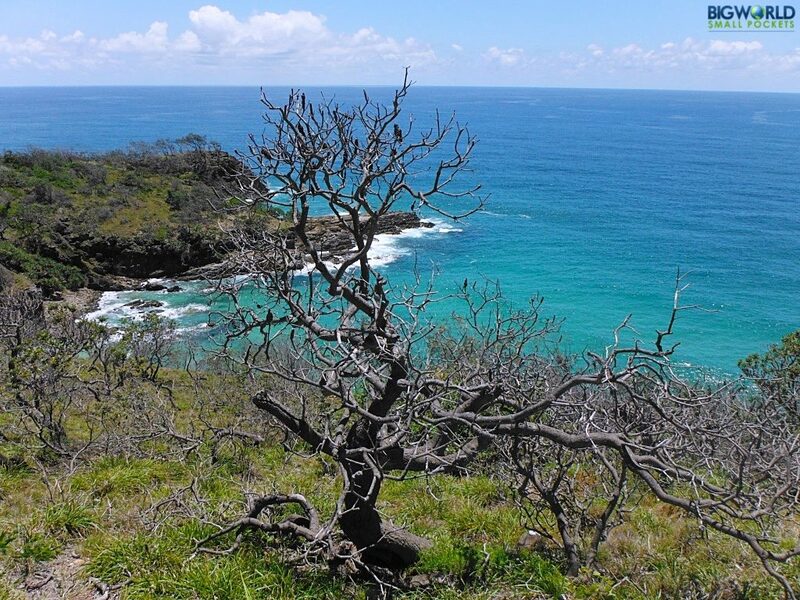 My old-stomping ground, Noosa National Park is hard to beat when it comes to free national parks. Even better is during the winter whaling season, when passing humpbacks can be seen breaching from the park’s lookout on a daily basis! It’s a tourist classic, but the daily dolphin-feeding at Monkey Mia in Western Australia, is just one of those $10 treats it’s too hard to turn down! 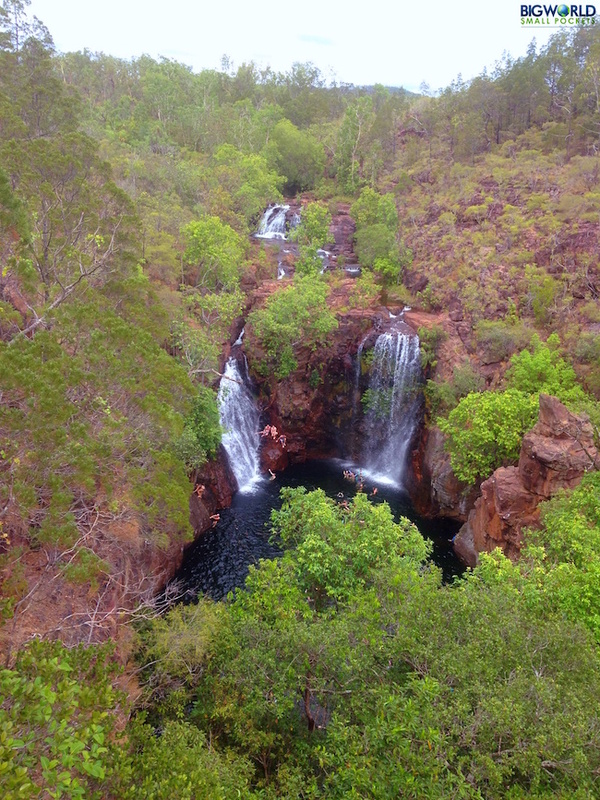 Be it Wangi Falls, Florence Falls or the Buley Rockhole, take you pick from Litchfield National Park’s magnificent swimming opportunities complete with waterfall shower! One of the best places in the whole country for stand-up paddle boarding, Tallebudgera Creek on the Gold Coast is a stunning place to test your balance and board rental is pretty cheap too … a good thing if you keep falling off! 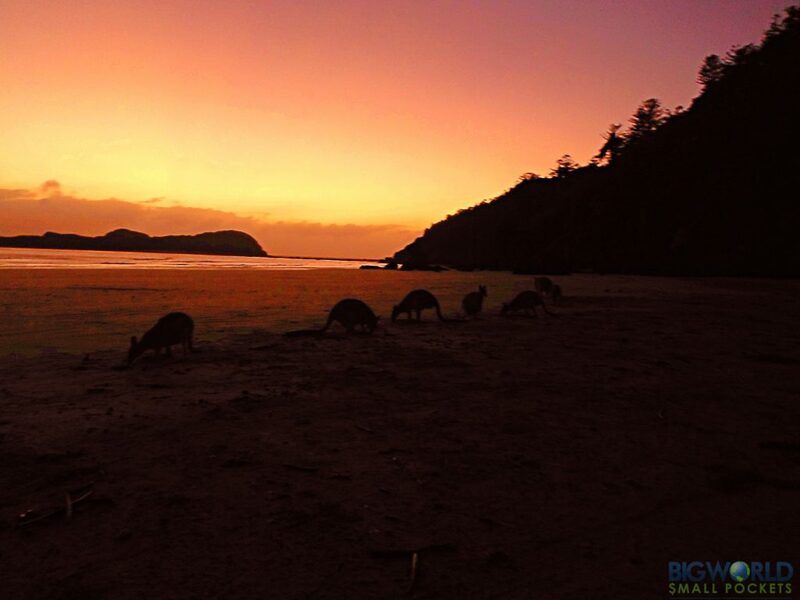 It’s pretty rare to see kangaroos and wallabies right on the sand, but that’s just what you can do in Queensland’s Cape Hillsborough National Park, where, every morning at dawn, these hopping hungries make it onto the beach here for breakfast. Set right down in Victoria, the beautiful hot springs on the Mornington Peninsula are some of the best I’ve ever visited – especially when you get to enjoy a stunning sunset from the top pool! Lake Wabbi on Fraser Island sits at the bottom of a massive white sand dune and there’s no better, or quicker, way to make it down there than sandboarding your heart out! Broome’s Cable Beach sunsets are world famous and rightly so. Best of all, they won’t cost ya a cent! Trying to spot one of these massive and prehistoric birds is a lot of fun up in the tropical north Queensland town of Mission Beach … until you see one and realise just how scary and huge they are! #2 Good Walking Shoes – There will be a lot of walking in Australia – from cities to national parks! Make sure your feet are comfortable therefore with a pair of New Balance Trainers. Perfect for stylish strolling, I love mine. #3 Good Guidebook – I’m still a massive fan of the Lonely Planet Guidebooks and do think their Australia edition is well put together. If there’s one thing beside red dirt that the Outback is famous for, it has to be a good watering hole! Recover from the heat by downing a frosty one yourself in a character (and memorabilia) filled Outback pub. 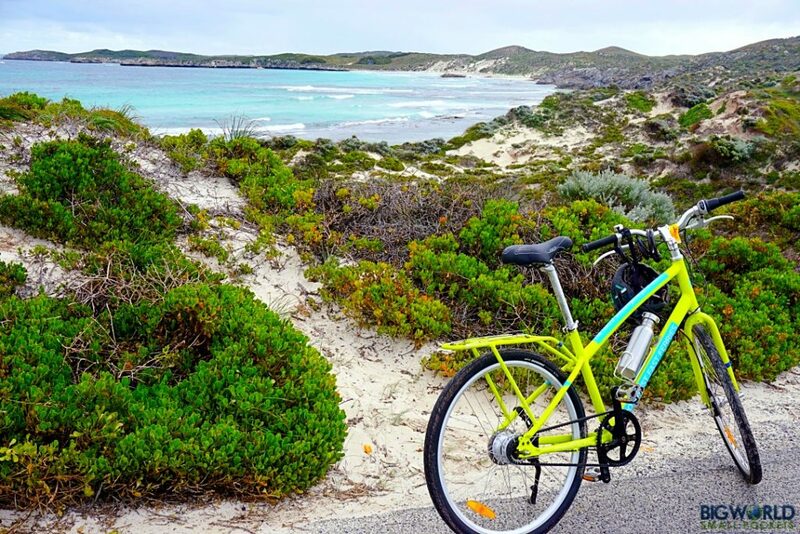 If you’re going to pay for a ferry over to Rottnest Island from Perth, then you have to spend a few extra dollars to get a bike as well. Cycling round this car-free island is so much fun and the hidden beaches you’ll discover are even better! Known for its gorgeous landscapes, national parks and hikes, Tasmania joins the best of them all together in the form of the stunning Cradle Mountain. DO NOT MISS! 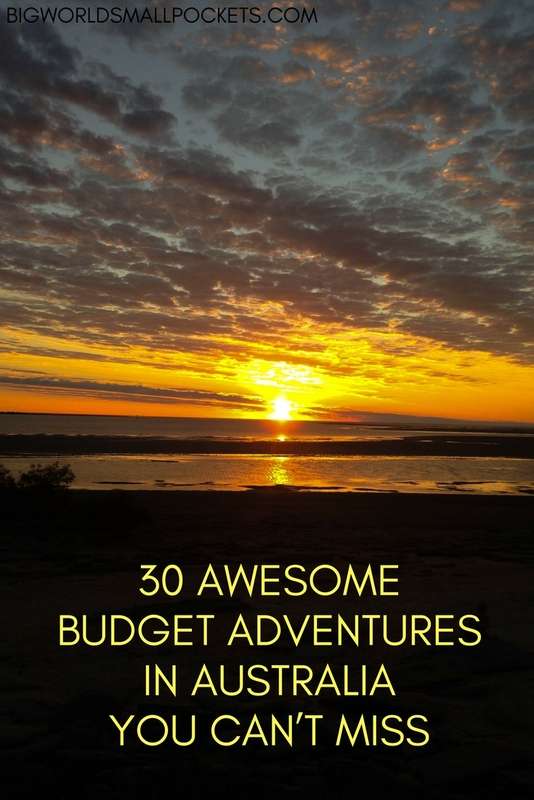 Have you visited Australia on a budget? What was your favourite thing to do?